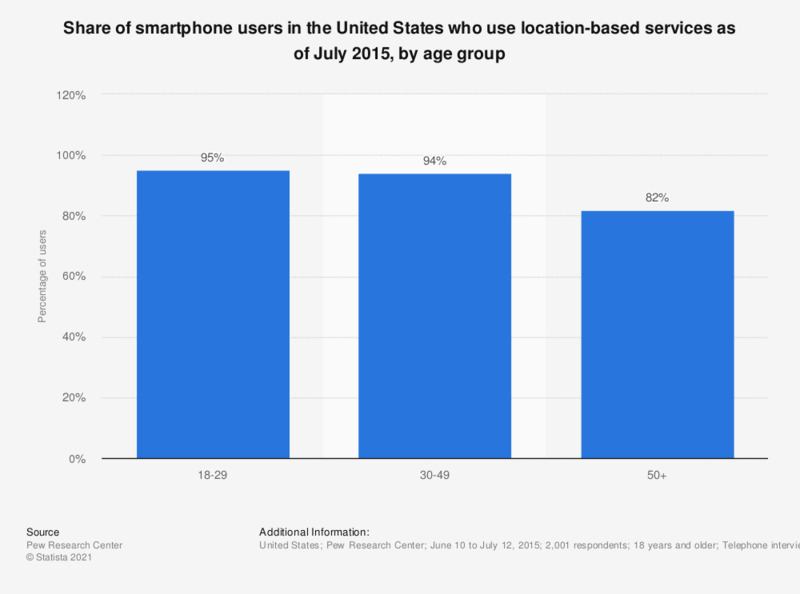 This statistic shows the percentage of smartphone users in the United States who use location-based services, sorted by age group. During a July 2015 survey, it was found that 95 percent of smartphone users aged 18 to 29 years accessed location-based services. Includes getting directions, recommendations and other location-related information. What location-sharing or check-in services do you use?